I missed a few days here. I think that in the future I will only promise to update on weekdays. After all, I don’t live on the computer. That doesn’t keep me from posting on the weekend if I feel inspired at the time, though. Today’s image has three faces. 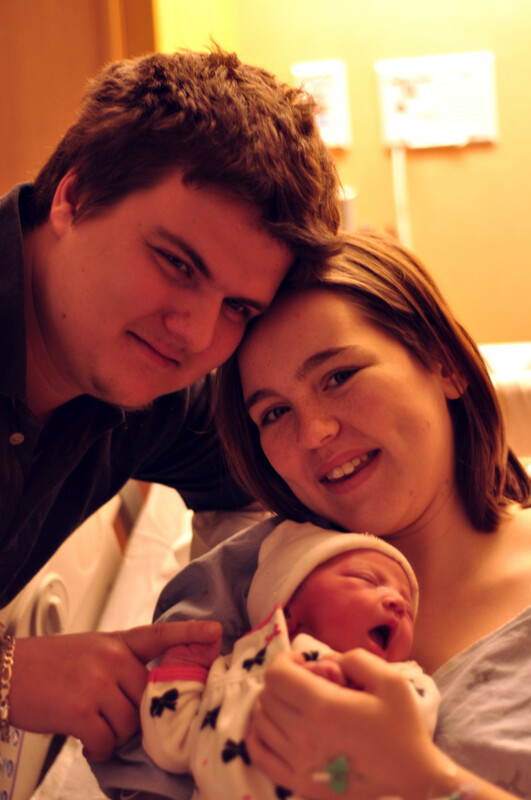 The two exhausted yet joyous faces belong to the brand spanking new parents of my beautiful granddaughter. God blessed our family with a beautiful healthy girl. This makes two very welcome additions to our family.